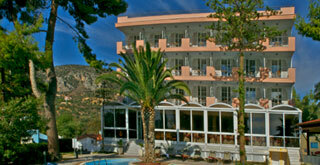 Is the new hotel of the Skalidis family . Luxurious building with floors covered with local marble. 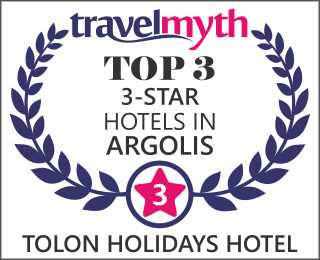 Situated 100 m from the most beautiful part of the Tolo beach, the “Sandy Beach”, this hotel offers pleasant holidays from March to November. 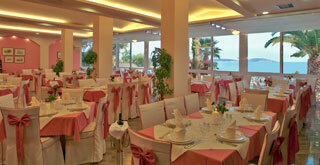 The excellent trained stuff and the luxurious areas create an agreeable atmosphere. 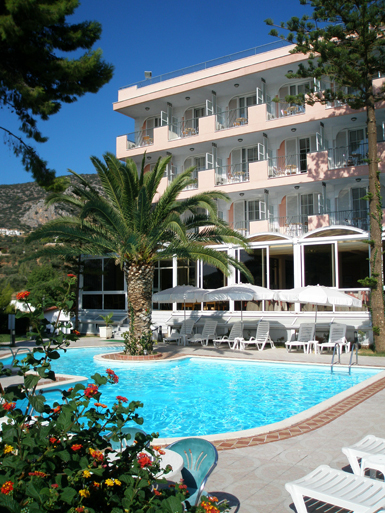 3 lounges, Internet corner, TV corner, café – bar, restaurant with view to the impressive swimming pool, the garden and the sea. The rooms are held in pleasant bright colours, disposing modern comfort, qualitative furniture, satellite TV, mini bar, free Wi-Fi internet access, air condition, hairdryer, bathroom with bathtub or shower. 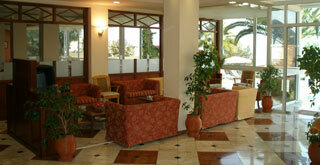 The rooms and public areas have special constructions that make them suitable for disabled persons. Sauna and mini gym also available in the hotel premises. Pool bar and swimming pool with jet-stream hydro massage surrounded by local plants in a lovely garden.